The founder of Divas on Decks, Lady Lea is an icon in the local music scene. Passionate about making music, Lady Lea has been in the music and DJ industry for 17 years. Lady Lea, now playing on CD players, vinyl and laptop, started DJing at the young age of 14. Since then, Lady Lea has been DJing around the world at various clubs, parties, raves, corporate events, fashion shows, festivals, parades, and sports games. Lady Lea is now rated the top female DJ in South Africa and is currently also rated # 368 in the world by the international DJ Mag voting poll. On the 1st of March 1999, Lady Lea opened a record shop in Pretoria, called Flipside Records, which really became a much loved addition to the Pretoria music and DJ community. After that Lea successfully made the brand into a recording studio and record label, Flipside Recordings, and was soon producing her own music and recording her own albums. In 2003 Lady Lea arrived back in South Africa from spinning in top clubs in the UK and working in the world’s top music retail store, HMV, as a singles and vinyl buyer. One of Lady Lea’s dreams is to inspire people to do what they are passionate about and in 2009 Lea launched a female DJ agency called Divas on Decks, which main aims are to promote young, up and coming female DJ’s in a big way, help them grow as artists and reach their full potential and their dreams. Originally Lea was part of a group with 3 female DJs called Divas on Decks. Since Lea was the only Diva from the group still DJing full time, she decided to revive the brand and start the Divas on Decks agency, which now represents some of the best South African female DJs in South Africa and around the world. In mid 2009, Flipside Recordings became Beat Boutique, Lady Lea’s new record label under which 4 successful albums have been released thus far – Divas on Decks Vol. 1 Mixed by Lady Lea, Divas on Decks Vol. 2 Mixed by Tune Raider, Divas on Decks Vol. 3 Mixed by Boipelo and DJ Morgan: The King Edition. In 2010 Lady Lea appeared on television as a contestant on M-Net’s Survivor SA: Santa Carolina – Celebrity Edition and was also voted no. 994 in the world in DJ Mag’s Top DJs Poll 2010, making her one of the only two South African DJs to make the list. In 2011 Lea moved up from her previous position in the DJ Mag Top 100 DJs Poll to no. 368, beating her record and making her one of the highest ranking SA DJs on the list to represent South Africa in the poll. In 2011 Lady Lea also released her first music video "Catch Me If You Can" with GB Collective and Catsax (Cathy Del Mei). Check out the video on Youtube. Lady Lea completed annual European tours from 2006 – 2011 which has included Amsterdam, Ibiza and the UK. In 2007 she played at the German Love Parade to over 1.2 million people, as well as at the ICC T20 World Cup Cricket matches. On a weekly basis, Lea is featured on various TV and radio shows, newspapers, magazines, websites and flyers. 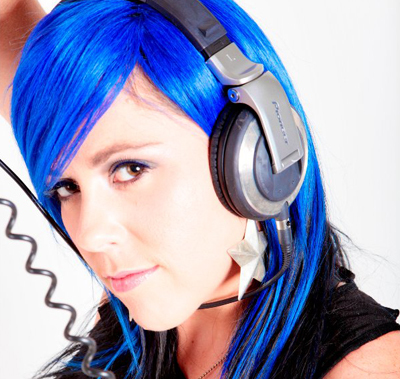 Currently, Lady Lea is one of the most booked DJ’s in South Africa. She has had over 20 residencies, and has been a guest DJ at almost every club in South Africa as well as various other countries. Lady Lea blends old & new sounds to create her trademark House sets that crowds love!